Fritz Noether's parents were the famous mathematician Max Noether and his wife Ida Amalia Kaufmann (1852-1915). Max and Ida were both Jewish and they married in 1880. Fritz was the third of his parents' four children, having Emmy Noether as his older sister. Fritz had one older brother Alfred Noether (28 March 1883 - 13 December 1918) and one younger brother, Gustav Robert Noether (15 November 1889 - 4 June 1928). Let us note right at the beginning of this biography that although we have given a precise date and place for Fritz's death, there is some doubt about this as we shall relate below. His Ph.D. adviser at the University in Munich was Professor A Voss. But in the dissertation, the candidate gave equal thanks to Professor A Sommerfeld for valuable inspiration. A close working relationship between Fritz Noether and A Sommerfeld is indicated by the fact that Part 4 ('Die technischen Anwendungen der Kreiseltheorie' Ⓣ) in F Klein's and A Sommerfeld's 'Über die Theorie des Kreisels' Ⓣ, published in 1910 by Teubner in Leipzig, bears the notation: "Prepared for publication and supplemented by Fritz Noether." Indeed, Sommerfeld's introductory remarks refer to Fritz Noether as collaborator for this fourth and final part of the Klein and Sommerfeld work on gyroscopes. After the award of his doctorate, Noether undertook postdoctoral studies in Göttingen. In 1911, after two years at Göttingen, Noether went to Karlsruhe where he was appointed as Karl Heun's assistant at the Technische Hochschule. Heun had been appointed as professor of theoretical mechanics at Karlsruhe in 1902 and his first assistant had been Georg Hamel. 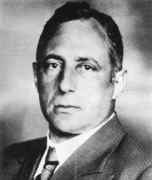 Max Winkelmann (1879-1946) had been Heun's next assistant but he had been appointed as Professor of Applied Mathematics at Jena in 1911 where he succeeded Wilhelm Kutta who had moved to Aachen. Noether filled the position left vacant by Winkelmann's departure. In the summer of 1911, Noether submitted his habilitation thesis Über den Gültigkeitsbereich der Stokesschen Widerstandsformel Ⓣ to the Karlsruhe Technische Hochschule and gained his right to lecture. This habilitation thesis was published in Zeitschrift für Mathematik und Physik in 1912. For a list of publications by Noether, see THIS LINK. In December 1911, Noether married Regina Maria Würth (1882-1935). She was the daughter of a customs official from the Jewish community at Randegg/Baden on the Swiss-German border between Schaffhausen and Singen. They had two children, Hermann Dietrich Alexander Noether (1912-2007) and Gottfried Emanuel Noether (1915-1991). Over the next few years Noether published Über die Entstehung einer turbulenten Flüssigkeitsbewegung Ⓣ (1913) and Zur Theorie der Turbulenz Ⓣ (1914) but then World War I broke out in the summer of 1914. In the early part of the war Noether served on the German-French front but after he was wounded he was sent to undertake research in ballistics. There is, naturally, a bit of a gap in his publication record during the war years. After the war ended in 1918, Noether returned to the Karlsruhe Technische Hochschule where he was promoted to extraordinary professor. In 1921 he took leave of absence to work at the industrial firm Siemens in Berlin. He did not return to his position at Karlsruhe Technische Hochschule since, in 1922, he was appointed to the second chair of Higher Mathematics and Mechanics at the University of Breslau. Noether's main contribution to science was his criticism towards some of Heisenberg's results which were evidenced only decades later. He has also published some works on the turbulence problems thereby accounting for a mathematical approach. His particular interest was the origin of turbulent flow, as was experimentally investigated by colleagues such as Ludwig Schiller (1882-1961). He also investigated the definition domains of the resistance formulas relating to the fall of spheres in a viscous fluid, as first investigated by George Gabriel Stokes (1819-1903). In 1931 Noether presented a chapter on the investigation of the Navier-Stokes equations. I was amused to find that evidently the main content of my dissertation was still all right. In particular, the specialists on hydrodynamics now apparently agree that the parabolic flow profile is indeed unstable, as I had stated at that time, and that also my calculation of the region of instability was essentially correct. .. the paper of Noether, which in his time had made the whole theory of instability suspicious, seems to contain some mistake, but the mistake has not yet been found. On 30 January 1933 Hitler came to power and on 7 April 1933 the Civil Service Law provided the means of removing Jewish teachers from the universities, and of course also to remove those of Jewish descent from other roles. All civil servants who were not of Aryan descent (having one grandparent of the Jewish religion made someone non-Aryan) were to be retired. However, there was an exemption clause which, among others, exempted non-Aryans who had served in the 1914-18 War. Noether was Jewish but had served in World War I, had been wounded and had been awarded the Iron Cross. He clearly satisfied the exemption clause but, on 26 April 1933, a group of students complained to the Rektor of the University of Breslau that having Noether on the staff "in large measure contradict the Aryan principle." The students suggested that Noether, as a Jew, would never work in the national interest. Noether protested that of course he was a German who would work for the national interest. However, to let things cool off he stopped lecturing thinking, quite rightly, that his presence would lead to student unrest. After taking a break from teaching he returned but on 25 August the students complained again. This time they accused him of having leftwing political views, of actively supporting the League for Human Rights and other "crimes." Section 4 of the Civil Service Law allowed anyone to be dismissed who was opposed to the national state. Before he could be dismissed under that Section of the Act, he appealed stating categorically that he had never been politically active. Knowing that he had no chance of preventing his dismissal, he asked that he be allowed to leave under Section 5 of the Civil Service Law which allowed a person to move to a different position. More importantly for Noether, this would allow him to retain his pension and also his reputation as a loyal German. Noether's sister, Emmy Noether, suffered in the same way and was dismissed from Göttingen. She went to the United States but Fritz Noether decided to go to Russia. This was, as we shall see, the wrong decision but it is understandable since he did have left wing political views and had a certain admiration for the Soviet Union. He emigrated to the Soviet Union in 1933 and was appointed as professor at the Institute of Mathematics and Mechanics in the University of Tomsk. His German pension which he had managed to retain, was immediately cancelled when he emigrated. Emmy Noether died in April 1935 and, later that year on 5 September, Pavel Sergeevich Aleksandrov gave a moving memorial address to the Moscow Mathematical Society calling Emmy Noether "the greatest woman mathematician of all time." Fritz Noether was present in Moscow as a guest of honour to hear Aleksandrov's memorial address. Shortly after this, on 2 October, Noether wrote from Tomsk to Helmut Hasse, by this time in Göttingen, concerning the estate of Emmy Noether. Noether tells Hasse that Richard Brauer had informed him that he had sent two manuscripts of Emmy Noether's to Hasse, one of which should be considered for publication. Noether tells Hasse that he is happy that Hasse decides the journal to which to send the manuscript. Noether suggests that Emmy Noether probably destroyed most of her notes before going to the United States and believes that she did not leave anything in Göttingen. In July 1936 Noether had attended the International Congress of Mathematicians in Oslo and presented a paper Über elektrische Drahtwellen to Section V, the Mathematics Physics, Astronomy and Geophysics Section. This paper was published in the Proceedings in the following year. We note that Noether appears to have been the only mathematician from the Soviet Union at the Congress. Although eleven Soviet participants were listed, only Noether was present at the Congress and none of the others, even the two plenary lecturers Aleksandr Gelfond and Aleksandr Yakovlevich Khinchin, actually attended. One assumes that Noether still had a German passport and was able to leave Russia while the others could not. Dear Dr Noether, I write to inform you that on December 22, 1988 the Plenum of the USSR Supreme Court passed a decree No. 308-88 (see enclosure) in which it determined that your father, Professor Fritz Noether, had been convicted on groundless charges and voided his sentence, thus fully rehabilitating him. On October 23, 1938 Professor Noether was found guilty of allegedly spying for Germany and committing acts of sabotage and was sentenced in Novosibirsk to 25 years of imprisonment. He served time in different prisons. On September 8, 1941 the Military Collegium of the USSR Supreme Court sentenced Professor F Noether to death on the accusation of engaging in anti-Soviet agitation. He was shot in Orel on September 10, 1941. His burial place is unknown. Please, accept my deepest sympathy although I understand that no words can alleviate your pain. On November 22, 1937, Noether was arrested on charges of being a German spy who not only spied on the Russian armament industry but committed acts of sabotage against it. On October 13, 1938, he was sentenced to twenty-five years in prison and confiscation of all his belongings. It appears that all the evidence against Noether and the three Russians accused with him was falsified. ... met Fritz Noether on the Moscow metro in the late fall of 1941. Noether and Falkovich knew each other and Noether told his story about his arrest and tortures in Tomsk NKVD. In particular, NKVD agents confiscated many of his things and books. Noether said that finally he was released from Orel Central and went to Lubyanka (NKVD/KGB headquarters) for some travelling documents to visit his family. Then the train stopped and their conversation was interrupted. Since he did not come to Tomsk (his son's Gottfried Noether testimony), he most probably was arrested again. Finally, let us record that we owe to Fritz Noether the notion of the index of an operator. In 1921 he showed that the index of a one-dimensional singular integral operator is expressed by a winding number.